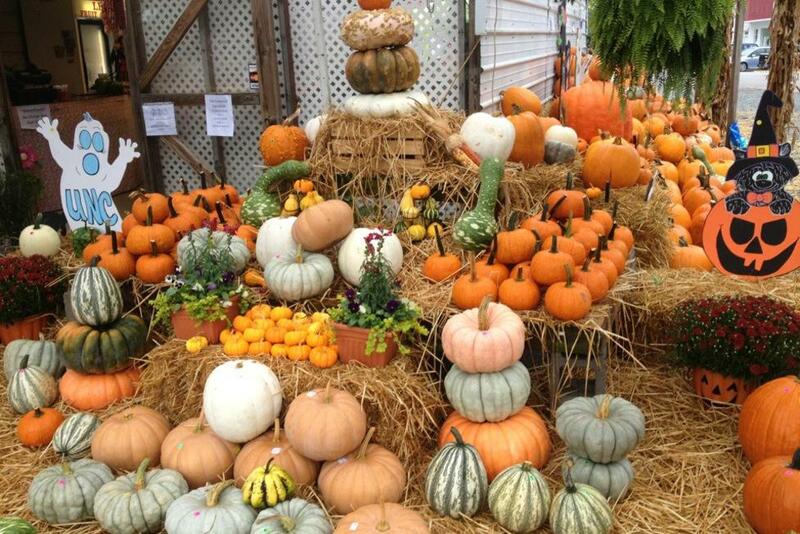 There is so much going on in Clayton this Fall that I might not fit it all into this one post. But, I will try. The season of crisp air, warm apple pies, plump pumpkins, and autumn leaves is a magnificent time to be in Johnston County. Festivals, concerts, spooky hay rides, 5K races, and pumpkin patches dappled with autumnal light are just a few highlights from what is unabashedly my favorite season. If you haven&apos;t already circled October 10th on the calendar like we have, get a red pen out. In just two weeks the 4th Annual Clayton Shindig is bringing bands, beer, and BBQ to Johnston County. Running from 11:30AM till 9:00PM the line-up this year includes some heavy hitters, like Grammy nominated band The Steeldrivers and nationally recognized band The Black Lillies. The line-up also includes some of JoCo&apos;s own talented artist and you can see the full list at www.theshindigclayton.com. The link to purchase tickets for the event is on the site as well. Moreover, the bands won&apos;t be the only thing on tap at the Shindig. Local breweries Deep River, Double Barley, Draft Line, Aviator, and Raleigh Brewing will be ready to quench your thirst as you rock out. And thanks to Squealin&apos; on the Square there will be some good ole&apos; eastern style BBQ being served up. You might not want to get up quite as early as the Fifth Annual Clayton Chamber of Commerce BBQ Cookoff teams do. Squealin&apos; on the Square teams are serious about cooking their pig to perfection, and some get started as early as 5:00AM. The good news for BBQ lovers and Shindig go-ers is all that hard work pays off Saturday evening. BBQ plates will be available to the public on Saturday, October 10th for $8.00 per plate from 4:00PM to 7:00PM. Purchase your BBQ plates from the Clayton Chamber of Commerce tent set-up at the Shindig. Or purchase them ahead of time by contacting the Chamber offices at 919-553-6352. From sweet American blue grass and Celtic folk tunes to wildly talented guitar playing, the Clayton Center kicks off their Palladian Series with 2 stellar acts in October and November respectively. 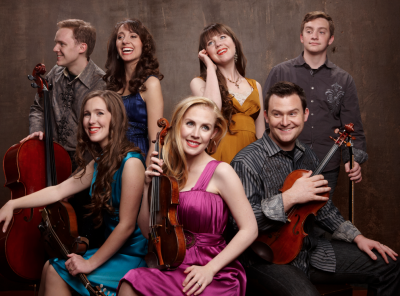 On October 24th the Annie Moses Band (pictured at right) takes the stage, bringing their effervescent harmony and blended instrumentation to popular folk tunes and classical compositions. On November 7th join Frank Vignola and Vinny Raniolo - a charismatic duo of guitar technique wonderment. The season continues into December and well into 2016 with 4 other amazing acts: 3 Redneck Tenors Christmas Spec-Tac-Yule-Ar, Franc D&apos;Ambrosio&apos;s Broadway performance, the rocking honky tonk sounds of Lee Roy Parnell, and lastly the swagger and soul of Grammy-winning Mike Farris. For more information on each artist, and to purchase tickets, visit www.theclaytoncenter.com. That&apos;s just a sneak peek of Fall in Clayton. There&apos;s so much more to do and see in all the nooks and crannies of Johnston County. For more information on happenings over the next few months, visit www.johnstoncountyevents.com. 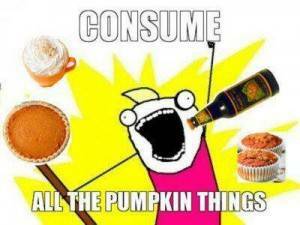 And try not to overdo it on pumpkin spice everything. It&apos;s Fall Ya&apos;ll!